What we are reading - Kylie, Caspar and Otis! I'm not reading a lot at the moment because I'm so tired I'm afraid I'd fall asleep. I listen to a lot of audiobooks (while driving) and I am dabbling in some pregnancy and birth related books. I am reading pregnancy and birthing books that are reassuring and positive. I am currently reading Expecting Better which is very data driven however they use US data which is in places different to Australia (and I don't drink any alcohol or coffee, or eat deli meat during pregnancy). I love how different it is to usual pregnancy books and it overwhelmingly left me feeling positive and informed. It's also very easy to read. I am also reading Mindful Birthing. This has been reassuring and informative as I prepare myself mentally for childbirth. My previous experiences have been positive (and fast) but I still have some fear and hesitation around childbirth and the unknown (what might go wrong), reading about mindfulness at least brings me calm! Although I read it months ago I still have The First Forty Days on my bedside table and find it incredibly soothing and nourishing to read. My first forty days will look nothing like this with a full family to look after but the notion is not lost on me and it makes me reconsider what our days will look like. I have almost since the start of this pregnancy, been listening to The Mama Natural Week-by-Week Guide to Pregnancy and Childbirth. I love Mama Natural and the natural birthing, intervention free movement. Caspar (9 years) is currently reading a lot as he is on school holidays! He loves history however at school he is taught mainly Australian history. At home, he reads a wide variety and almost always non-fiction. Caspar is currently reading; A Long Walk to Water (set in Sudan), As brave as you (good read about disadvantage, acceptance, and family, this is a long book at 409 pages), and The Boy on the Wooden Box (Caspar is very interested in reading all things Holocaust and this is an age appropriate way to do so, a valuable memoir from a young Holocaust survivor). All of these book are for children at or around 9-14 years. Otis (6 years) isn't reading a lot of books right now. We have a good collection of Let's Read and Find Out Science books and they are truly wonderful, full of facts on science topics that are relevant to six-year-olds. He received Bees: A Honeyed History for his birthday and it is very beautiful, large format, vibrant and recommended for all nature and bee-loving kids! I would love to hear your recommendations, especially on natural pregnancy and birth. I hope you have a wonderful weekend! Once again I'm sharing some Montessori and child centred spaces to love from Instagram! These spaces are all so bright and colourful and all have Montessori features. Above is the lovely children's wardrobe from tadah! This shelving provides a place for everything. 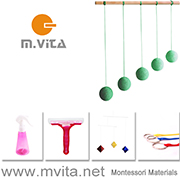 They have a good range of wooden Montessori furniture here (Brazil). I've watched this space evolve and it's always ordered. I love that it's not over complicated! Large blackboard! There are some lovely child centered spaces in this home. They have lots of plants and you know I love the whale posters. Can I move in? There are low children's shelves in the living area and a fish tank at a child/toddler height. Along with all the child centred features, it's also warm, inviting and unique. This is the account of Sweet Home from Wood, which is an Etsy store that stocks these lovely floor beds! I also really like this room as it is has lots of shelves and is very ordered! Wow, these beds are so popular right now! This is a lovely space from a Montessori family, and it's a good account to follow. They've only put out a small selection of clothes and have provided a hair brush and mirror for self-dressing. This is a work space and it isn't as styled as the others but it's really practical and achievable. The shelves appear behind a couch area and there are lots of Montessori materials present, a soft rug to work on. I hope you get as much inspiration from these spaces as I do! 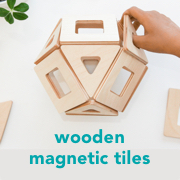 If you have a Montessori inspired space on Instagram that you would like to share please tag me @howwemontessori. Do your children like making their own books? Otis makes so many of them. Often tiny books with lots of little drawings or notes in them! So I wanted to experiment a little and show him some new ways of making books. Here are a few ideas we've tried recently, some of these he has made completely independently and others with some help. Hole punch and tie with ribbon, twine or wool. Staple or staple and cover with washi tape - for decoration and safety. Hole punch and keep together with hinged rings. Sew with a sewing machine - we've used a straight and a zig zag stitch. Paper - different sizes, we usually have A4 and A5. Card - we like different colours and find having a card cover protects the book and it holds up better. Bulldog Clips - these can help the child hold the paper in place while they are using the hole punch or even sewing the book together. Ruler and Pencil - to line the holes up straight and to measure their placement. Ribbon, Twine, Embroidery Thread, Wool - different materials for tying books together. Stapler - we've recently found some coloured staples and this has added to the fun! Tape or Washi Tape - we like to cover staples with tape so they don't catch on clothing and it looks nice! Embroidery Needle - for threading. Hinged Rings - we've used 25mm rings. These coloured rings are cute. Have an example already made to give the child an idea of what to do/make. Prepunch the holes so the child only has to tie or thread the paper together. I was going to write a little tutorial for bookbinding like this (above and below) as it's so good for children and their fine motor skills, however, the instructions here at The Hungry Artist are really good and almost exactly how we made ours! Their illustrations are really clear. To start with we taped the end of the string (we used embroidery thread) to the back cover and when the binding was complete we removed the tape and tied both ends of the thread together. With a tight knot, the book stays together really well! Sewing is now Otis' favourite way of making books! He's made a lot! Experimenting with different colour threads and different stitch type makes it a little more interesting! As the child is only sewing a straight line this is a good way of introducing the sewing machine. We've (temporarily) put the sewing machine on the children's art table so Otis can access it and use it safely. Otis doesn't just use the books for writing stories, he writes (maths) sums in them, makes drawings and lots of random things. It's nice to put a few away in his memory box to look back on in the future! After yesterday's post, I have been thinking about the ways that Otis has been able to play and learn about liquids, measurement, and fractions. Baking is the obvious way, measuring all of the ingredients. But we also have graduated beakers as toys in the bathroom. We have used beakers, measuring cups, measuring spoons, and wet scales as materials in our water table (they would also be good in a sensory table! ), and both of my boys have loved playing Fraction Formula. I've also written about using some of these materials for play in the kitchen sink! So I've put together a bit of a list of some wonderful resources (many of which you would already have) for playing and learning about liquids, measurement, and fractions at home. No formal lessons required, just learning through free play! 1. Mini Measuring Beaker Set. 2. Plastic Graduated Beaker Set (similar Australia here) - This is what we have in the bath for play. 3. Simple Plastic Measuring Jugs. 4. Glass Measuring Jug - For measuring in the kitchen. 5. & 6. Cute Fish Measuring Cup and Spoon Set - Usually I select plain and simple sets but these are simply adorable! 7. Graduated Cylinders (Australia here). 8. Litre Measuring Set - These are by Learning Resources who have a lot of similar measuring materials. 9. Geometric Litre Measuring Set (Australia here) - Also by Learning Resources! 10. Classroom Liquid Measuring Set - A lot of measuring materials in one package. 11. Balance Bucket/Scales (Similar Australia here) - These are perfect for the water table as they can be used for weighing water or liquids and solids. 12. Fractions Formula Game - You can read our review of this game here. The cylinders could also be used on their own! Can your children detect a lesson a mile off? Can they sense when you are trying to teach them something and just switch off or become disinterested? I've seen this happen in my home. Otis doesn't really like to sit down and read with me. He's happy for me to read to him, which for the most part is what we do. However, 10-15 times a day he will come to me: "t--i-m-e what does that spell'? "Timee"? And so on. He is developing his reading skills, they aren't static, but it's not by sitting down and working with me. He is reading in an everyday life sense, he is reading signs, labels, instructions, and recipes! Last week Caspar (9yrs) and Otis (6yrs) were baking together. This doesn't happen very often, Otis bakes almost daily but it's not something that Caspar is interested in. They were using a recipe neither of them had used before. Caspar came up and said: "I can't find a 2/3 measuring cup". I told him that we don't have a 2/3 cup and that he would have to make up 2/3 of a cup another way. He looked puzzled. I asked Otis "how do we make 2/3 a cup" and his answer surprised me (much to my delight). "With two of these!" he said holding a 1/3 measuring cup. Now Otis may not be able to add fractions but he knew enough to complete the task, and this knowledge will stay with him! Otis learnt his five times tables by counting (over and over) his Christmas and Birthday money and now has good recall for many sums by counting his notes. I could go on and give suggestions on activities that promote this type of learning however it is more important to create a home environment where this natural learning can occur. Provide or allow access to resources outside of the home - friends homes, family, libraries, museums, walking grounds, clubs, peers. Don't judge, it's easy for us to put our expectations on our children or our unconscious biases. Our children's interests can be weird and unpredictable. We want our children to be curious and this isn't always easy! We can't always see or know what the child is learning. It may not become obvious until much later. I'd love to hear experiences of teachers who are also parents on how their children best learn at home! I hope you are enjoying your school holidays!